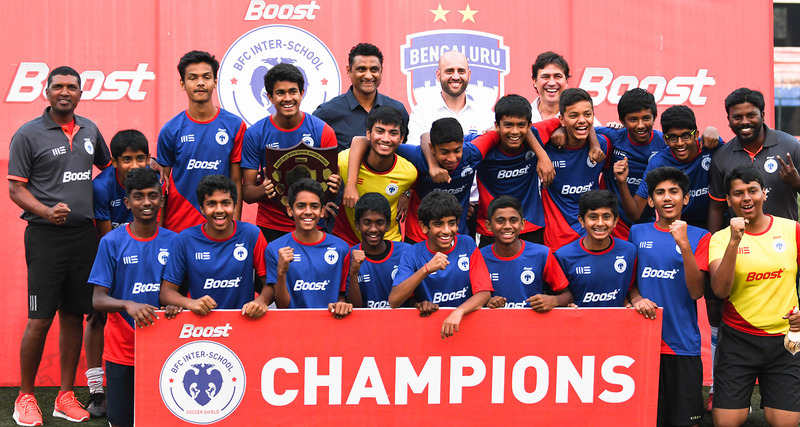 Bengaluru: Delhi Public School East continued their dominance in the BOOST BFC Inter-School Soccer Shield 2019 as they clinched three titles on the final day of the competition at the Bangalore Football Stadium, on Wednesday. While DPS East defended their titles in the U12 and U14 categories, they also emerged victorious in the newly introduced U8 category in the Boys’ section. Greenwood High International School claimed the honours in the U10 category as Gowthampura (Inter-Community Cup) and Shubhodhini School (Dream A Dream Cup) triumphed in their respective sections. Meanwhile, DPS North (U10) and Greenwood High (U12) claimed top honours in the Girls’ section which was introduced for the first time this year. In the big final of the day, a goal each from Kshitij, Amogh and Chandan helped DPS East clinch the title in the U14 category as they beat Inventure Academy in what was a repeat of last year’s final. Earlier in the day, it was DPS North who clinched the U10 title while Greenwood High International bagged the U12 title in what was the first-ever Girls’ category in the Soccer Shield. It was just one goal that separated the winners from the runners up in both sections as Tanvi Nair (DPS) and Aarushi (Greenwood High) handed their respective schools 1-0 wins in the final. Last year’s runners-up Gowthampura rode on Manoj’s winner to beat Austin Town 1-0 and emerge champions in the Inter-Community Cup. Shubhodhini School meanwhile prevailed over Round Table School 2-1 in the penalty shootout, after both sides were tied at 1-1 at the end of regulation time, to clinch the Dream A Dream Cup. 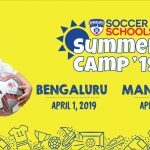 DPS East beat DPS North thanks to Aryanak’s sole strike in the U8 final while Greenwood High International School hammered four past Vibgyor High School, Haralur to claim the U10 title. Sehajvir starred in the final with a hat-trick to his name and Rahul chipped in with a goal. 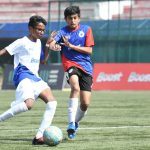 DPS East made it two titles for the day when they beat Greenwood High 1-0 thanks to Ayush’s winner in the U12 category before making a hat-trick of trophies later in the day. The presentation ceremony was presided by Head Coach Carles Cuadrat along with Assistant Coaches Gerard Zaragoza and Naushad Moosa.